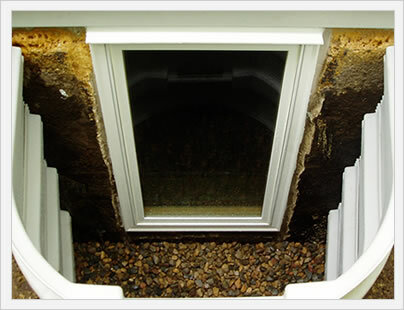 Consumers and homeowners can expect egress window costs to range from $300 to $1000 for the window portion only. 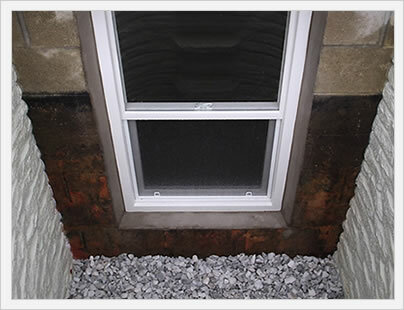 However, basement egress windows are relatively complex projects in terms of the installation and often involve a number of steps that can quickly ratchet up the price tag. The overall project price will range anywhere from $1,000 to $4,500. The first step is to dig out the outside area, if necessary. How much area needs to be cleared will depend on the where the ground is in relationship to the basement and/or basement window. In some cases, very little work will need to be done and in others quite a bit of earth will need to be dug out and moved to create the 36" of space around the area where the egress window will be placed. Most professionals contractors or companies will use a back hoe or earth mover to clear out this space. For those projects where the window is at or above ground, a very gradual slope is required and perhaps no window well or wall is required. 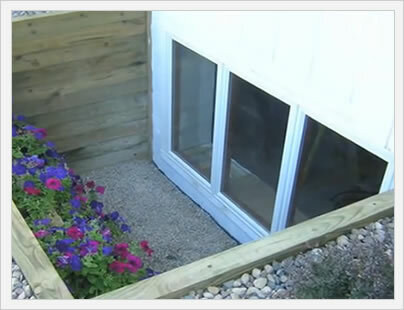 Some homeowners opt for concrete steps that gradual lead to the egress, while other projects use a premade window well that is inserted into the hole that was dug. Often, pebbles or some other ground cover will be used and a drain inserted. Again, in these cases there must be a 36" clearance for the window to be able to be opened and for a normal size adult to be able to enter or exit through the egress. This is one of the biggest steps in the project and also one of the most costly. Cutting a hole in the basement involves using cutting equipment and then properly framing the new windowopening. Care must be taken not to cut any water or eletrical lines, as well as a good understanding of load bearing walls and whether the project plans will affect the integrity of the structure. This is one of the principal reasons why hiring an experienced contractor is so important. The egress window itself will run $300 to $1,500, depending on the size, style, frame material and glass package. The cheapest alternative is a casement window because the casement can remain relatively small and still meet the code requirements. 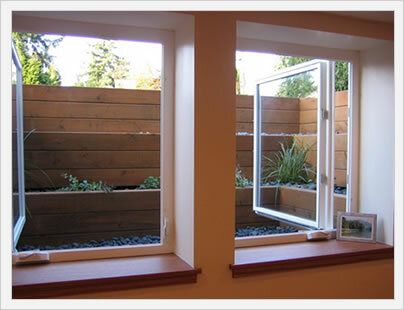 Other popular options include horizontal sliders, double hung and single hung windows. The window opening is already framed so now the window must be properly placed, shimmed and leveled on all sides. A low expanding foam or fiberglass insulation may be used to secure and seal the window. Screws are usually drilled through the window frame (through factory drilled holes) into the wood frame. A silcon caulking is then applied to the interior and exterior to completely seal the window. Trim and or flashing may be added to the exterior depending on the budget and requirements of the homeowner. For more information on install pricing, see our page on window installation costs.